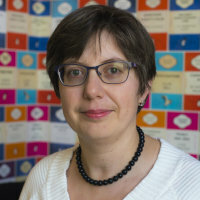 Dr Dimitrina S. Dimitrova is a Senior Lecturer in Actuarial Science at the Faculty of Actuarial Science and Insurance (FASI), Cass Business School, City University London. She joined FASI in October 2004 as a Research Assistant, in January 2008 was appointed as an RCUK Academic Fellow and became a Lecturer in January 2011. Dr Dimitrova holds an MSc (with distinction) in Applied Mathematics with specialization in probability and statistics from the Faculty of Mathematics and Informatics, Sofia University. She obtained a PhD in Actuarial Science from Cass Business School, City University London in 2008. From 2001 to 2003 Dr Dimitrova has worked as a Risk Analyst in the Risk Analysis and Control Department of the Central Bank of Bulgaria. For two academic years, she has also been a visiting lecturer in Mathematical Finance and Differential Equations at the Faculty of Mathematics and Informatics, Sofia University. Dr Dimitrova holds the Chartered Financial Analyst designation since 2006, she is a member of the CFA Institute, USA and the CFA Society of the UK. In 2010, Dr Dimitrova was awarded a Postgraduate Certificate in Academic Practice (with distinction) and in June 2011 became a Fellow of the Higher Education Academy, UK. Five Year Certificate of Achievement in recognition of dedication to professional excellence through participation for five consecutive years in the CFA Institute Continuing Education Program. 19/10/2009 Awarded a Certificate for Excellence in Research in grateful recognition of outstanding contribution to the reputaion of Cass Business School in research through publications in journals of the highest standing. •	computing the two-sided Kolmogorov-Smirnov distribution when the underlying cdf is (dis)continuous. Kaishev, V.K. and Dimitrova, D.S. (2009). Dirichlet bridge sampling for the variance gamma process: pricing path-dependent options. Management Science, 55(3), pp. 483–496. doi:10.1287/mnsc.1080.0953 . Dimitrova, D.S., Ignatov, Z.G. and Kaishev, V.K. (2015). Ruin and deficit at ruin under an extended order statistics risk process. IME 2015 23 Jun 2015 – 26 Jun 2016, Liverpool, UK. Dimitrova, D.S., Kaishev, V.K. and Haberman, S. (2009). Modelling the joint Distribution of Competing Risks Survival Times Using Copula Functions. Mortality and Longevity- Making Financial Sense of the Highly Uncertain Manchester, UK, 23 March 2009. Dimitrova, D.S. and Kaishev, V.K. (2008). On sampling from Gamma and Variance Gamma processes with application to path-dependent option pricing. 12th International Congress on Insurance: Mathematics and Economics Dalian, China, 16-18 July 2008. Kaishev, V.K. and Dimitrova, D.S. (2005). Optimal reinsurance, assuming joint survival of cedent and reinsurer. 9th International Congress on Insurance: Mathematics and Economics (IME 2005) 6-8 July, Quebec City, Canada. Dimitrova, D.S., Kaishev, V. and Ignatov, Z. (2018). Ruin and Deficit Under Claim Arrivals with the Order Statistics Property. Methodology and Computing in Applied Probability. doi:10.1007/s11009-018-9669-5 . Dimitrova, D., Ignatov, Z. and Kaishev, V. (2017). On the First Crossing of Two Boundaries by an Order Statistics Risk Process. Risks, 5(3), pp. 43–43. doi:10.3390/risks5030043 . Dimitrova, D.S., Kaishev, V.K. and Zhao, S. (2016). On the evaluation of finite-time ruin probabilities in a dependent risk model. Applied Mathematics and Computation, 275, pp. 268–286. doi:10.1016/j.amc.2015.11.082 . Dimitrova, D.S., Kaishev, V.K. and Zhao, S. (2015). On finite-time ruin probabilities in a generalized dual risk model with dependence. European Journal of Operational Research, 242(1), pp. 134–148. doi:10.1016/j.ejor.2014.10.007 . Dimitrova, D.S., Kaishev, V.K. and Zhao, S. (2015). Modeling Finite-Time Failure Probabilities in Risk Analysis Applications. Risk Analysis, 35(10), pp. 1919–1939. doi:10.1111/risa.12384 . Dimitrova, D.S., Haberman, S. and Kaishev, V.K. (2013). Dependent competing risks: Cause elimination and its impact on survival. Insurance: Mathematics and Economics, 53(2), pp. 464–477. doi:10.1016/j.insmatheco.2013.07.008 . Dimitrova, D.S. and Kaishev, V.K. (2010). Optimal joint survival reinsurance: An efficient frontier approach. Insurance: Mathematics and Economics, 47(1), pp. 27–35. doi:10.1016/j.insmatheco.2010.03.006 . Dimitrova, D.S., Kaishev, V.K. and Penev, S.I. (2008). GeD spline estimation of multivariate Archimedean copulas. Computational Statistics and Data Analysis, 52(7), pp. 3570–3582. doi:10.1016/j.csda.2007.11.010 . Kaishev, V.K., Dimitrova, D.S. and Ignatov, Z.G. (2008). Operational risk and insurance: a ruin probabilistic reserving approach. JOURNAL OF OPERATIONAL RISK, 3(3), pp. 39–60. doi:10.21314/JOP.2008.047 . Kaishev, V.K., Dimitrova, D.S. and Haberman, S. (2007). Modelling the joint distribution of competing risks survival times using copula functions. Insurance: Mathematics and Economics, 41(3), pp. 339–361. doi:10.1016/j.insmatheco.2006.11.006 . Kaishev, V.K. and Dimitrova, D.S. (2006). Excess of loss reinsurance under joint survival optimality. Insurance: Mathematics and Economics, 39(3), pp. 376–389. doi:10.1016/j.insmatheco.2006.05.005 . Kaishev, V. and Dimitrova, D. (2006). On the infinite-time ruin and the distribution of the time to ruin. INSURANCE MATHEMATICS & ECONOMICS, 39(3), pp. 406–406. Kaishev, V. and Dimitrova, D. (2005). Optimal reinsurance, assuming Joint survival of cedent and reinsurer. INSURANCE MATHEMATICS & ECONOMICS, 37(2), pp. 385–385. Dimitrova, D.S. and Kaishev, V.K. (2003). Finite time ruin probabilities for continuous dependent claims. INSURANCE MATHEMATICS & ECONOMICS, 33(2), pp. 426–426. Dimitrova, D.S., Kaishev, V. and Tan, S. Computing the Kolmogorov-Smirnov Distribution when the Underlying cdf is Purely Discrete, Mixed or Continuous. Journal of Statistical Software. Dimitrova, D.S., Ignatov, Z.G. and Kaishev, V.K. (2018). Ruin and Deficit Under Claim Arrivals with the Order Statistics Property..
Dimitrova, D.S., Kaishev, V.K. and Haberman, S. (2014). Improved estimation of mortality and life expectancy for each constituent country of the UK and beyond. REF. Kaishev, V.K., Haberman, S. and Dimitrova, D.S. (2009). Spline graduation of crude mortality rates for the English Life Table 16. Office for National Statistics (ONS). Kaishev, V.K., Dimitrova, D.S., Haberman, S. and Verrall, R. (2006). Geometrically Designed, Variable Knot Regression Splines: Variation Diminishing Optimality of Knots. London: Cass Business School, City University. ISBN 1-905752-03-2. Kaishev, V.K., Dimitrova, D., Haberman, S. and Verrall, R. (2006). Geometrically Designed, Variable Knot Regression Splines: Asymptotics and Inference. Cass Business School, City University. ISBN 1-905752-02-4. Kaishev, V.K., Dimitrova, D.S., Haberman, S. and Verrall, R. (2004). Automatic, Computer Aided Geometric Design of Free-Knot Regression Splines..
Dimitrova, D.S., Kaishev, V. and Spiridon, P. (2007). GeD spline estimation of multivariate Archimedean copulas. London, UK: Faculty of Actuarial Science & Insurance, City University London. Kaishev, V. and Dimitrova, D.S. (2005). Excess of loss reinsurance under joint survival optimality. Faculty of Actuarial Science & Insurance, City University London. Kaishev, V.K., Haberman, S. and Dimitrova, D.S. (2005). Modelling the joint distribution of competing risks survival times using copula functions. London, UK: Faculty of Actuarial Science & Insurance,: City, University of London.. In August 2011 I became the organizer of the Faculty of Actuarial Science and Insurance (FASI) seminar. Since then I initiated and with the support of the HoD and the Deputy Dean, we held meetings with various colleagues from FASI and Cass Business School working on improving the external visibility of our seminar among academics and practitioners, in particular within the actuarial profession. The concrete changes/improvements which were undertaken led to an increasing number of practitioners and academics from other universities attending our seminar series. The latter is also expected to facilitate the KT/Enterprise processes/projects with the profession. Delivering a 3-day course "Stochastic processes and their applications in insurance and finance: Part II" to professionals and members of the actuarial profession in Bulgaria and other Balkan countries. The course was organized and supported by the Bulgarian Actuarial Society. Project entitled "Developing an Economic Scenario Generator". Project completed for and commissioned by Aon Benfield, UK. European Journal of Operational Research, Referee, 2015 – present. Annals of Actuarial Science, Referee, 2014 – present. European Actuarial Journal, Referee, 2013 – present. Insurance: Mathematics and Economics, Referee, 2011 – present. 17th INFORMS Applied Probability Society Conference. (Conference) Costa Rica, 15-17 July 2013 (2013). Invited speaker. Co-authors: Kaishev, V.K. and Zhao, S.
IWAP 2012 - International Workshop on Applied Probability. (Workshop) Jerusalem, Israel, 11-14 June 2012 (2012). Invited speaker. The 1st European Congress of Actuaries (organized by the Groupe Consultatif Actuariel Européen). (Conference) Brussels, Belgium, 8 June 2012 (2012). Invited speaker. Co-authors: Haberman, S., Kaishev, V.K. 14th International Congress on Insurance: Mathematics and Economics. (Conference) University of Toronto, Toronto, Canada, 17-19 June 2010 (2010). Co-authors: Kaishev, V.K., Haberman, S.
Mortality and Longevity- Making Financial Sense of the Highly Uncertain. (Seminar) Manchester, UK, 23 March 2009 (2009). Invited speaker. 12th International Congress on Insurance: Mathematics and Economics. (Conference) Dalian, China, 16-18 July 2008 (2008).